Not too long until I get these! I made up the bib with my name since the preview one said 99999/Christopher. I can’t seem to make anything special out of my bib number. All I’ve come up with is 1571 minutes is 26.2hours. Not significant just kind of randomly cool. This entry was posted on March 30, 2011 by lovemyrunners. 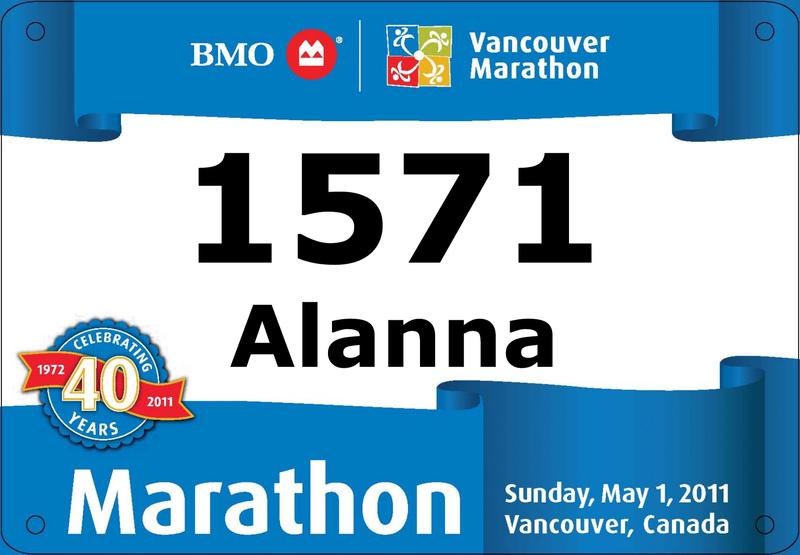 It was filed under BMO Vancouver Marathon . Do you read TMB's blog? She does bib number things too – I never think about it, ha! It is always interesting to read, though. So close! What is your goal for the race? Knock it off with the numerology. You should know by now that that's the year I was born!